Recently, the Nerdist reported that Lindsey Stirling has been exploring an entirely new creative frontier—writing. Still, Lindsey is no stranger to storytelling, as evidenced by her YouTube videos. She will be working with experienced cartoonist Darick Robertson who is the chief writer and illustrator for their new comic book series, Sparrow. The main character of the series looks a lot like Lindsey, which was probably intentional. One could possibly think of this series as the comic book version of what Lindsey does in her music videos. However, since this series will have six issues, it is clear that this story will be much more elongated than any of Lindsey’s music video stories have been so far, which is exciting. The new series will be published in November by Aspen Comics and Golden Apple Books. Lindsey’s new comic book story takes place in “a world without hope or light,” according to the Nerdist, where people can have everything taken away from them, even their names. When the main character finds a magical artifact, she embarks on a journey that could change the fate of her world. Stay tuned guys. This is the cover art for my first comic book #sparrow. I hope to see you at Comic-Con International in San Diego this weekend! 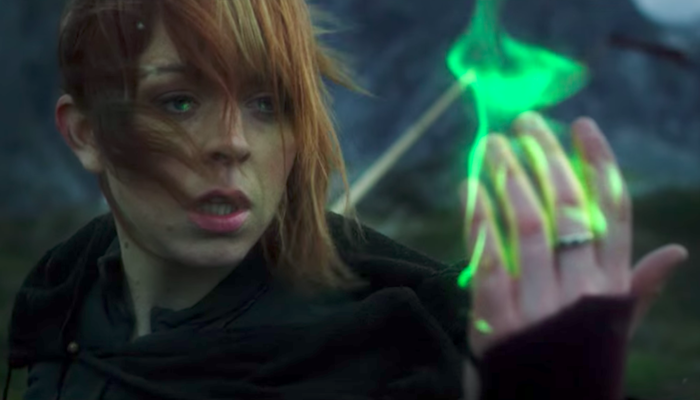 Lindsey Stirling fans—aka “Stirlingites”—are all aware of Lindsey’s knack for creativity. Not only has she created incredible covers and music videos for hit songs, but she has also written much of her own music, each piece accompanied with its own intricate story. Her most recent example of this is the song “Lost Girls” which tells the story of a ballerina—the same one from “Shatter Me,” the prequel to “Lost Girls”—who is on the road to recovering from being trapped in a snow globe. The story has many elements of magic and fantasy. You can watch the music video for “Lost Girls” below.